The Marvel Cinematic Universe has a surprising lack of a certain kind of heroic gear. Except for Thor — and even he tends to lose more of the gear set as the films tick by — the crew is pretty focused on the one accessory, then call it quits. But, a true leader knows to look at what other folks are doing and find ways to improve the team. The Cap is definitely the right kind of guy. As if drawing it out of a parallel universe and uniting it with Wakandan technology, the guy has upped his look and accessory game. And, so you can you! With these Captain America Arm Shields from the epic film, Infinity War, you can feel proud and protected as our favorite justice warrior even if you are currently short on a vibranium buckler. These sleek black bracers are sure to keep you looking fantastic and let everyone know that you're ready to face down some serious threats. We might never know where Captain America learned how to wield deflecting bracers with such skill, but it is sure impressive. 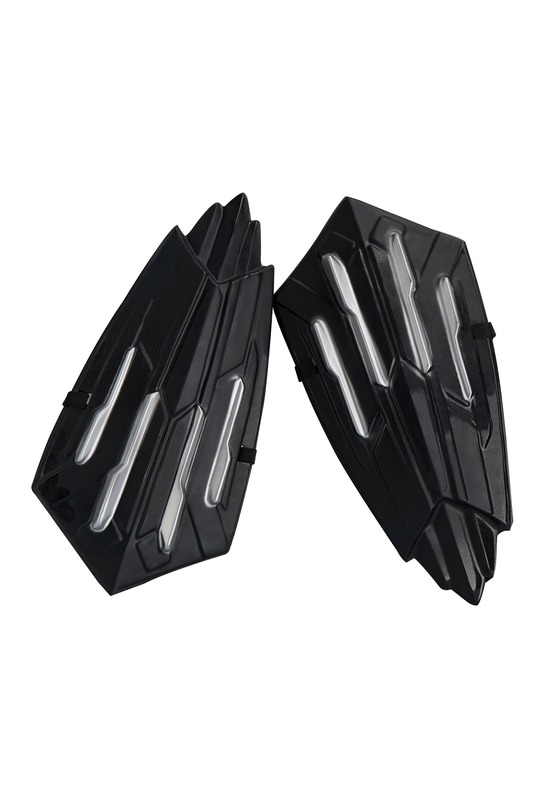 Show off your own super style with these replica arm shields that match Wakandan innovation with superhero style.